Her name might not have rung a bell when she announced her long-shot presidential bid on Monday, but politics, being the unpredictable game it is — remember when Alaska's Sarah Palin came close to becoming the second most powerful person in the world? 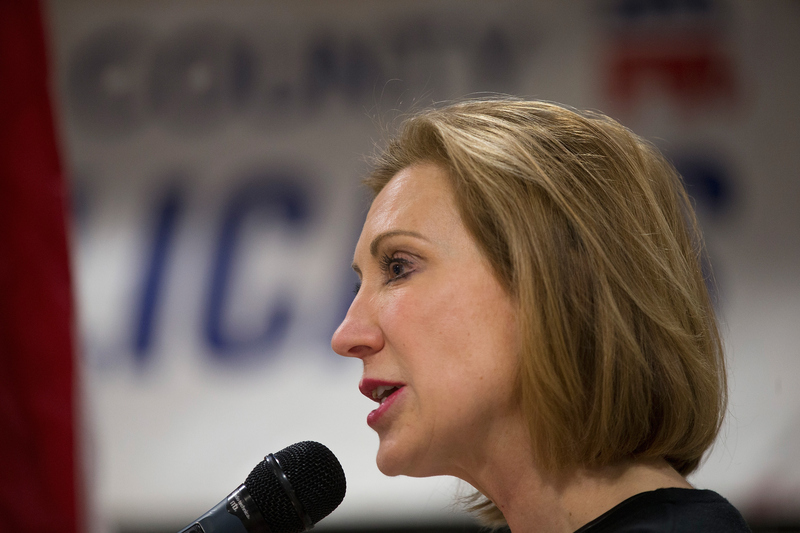 — Carly Fiorina might well be the wild card in the Republican primary. It's important to know where each candidate stands on the issues, so the big question is, is Carly Fiorina against marijuana legalization? The answer, as it turns out, is a resounding yes. I do not [think marijuana should be legalized]. ... When I underwent my cancer treatments, I remember my doctor, early on, after my diagnosis, said to me, "Are you interested in medicinal marijuana?" And I said, "No, I'm not," and he said, "Well, good. We don't know what marijuana is anymore. It's a clinically complex compound. We don't know how it interacts with other drugs; we just don't understand this anymore." And I think what we're doing, when we legalize marijuana, we're sending the signal to young people that marijuana is just like a beer. It's not — it's not. If we want to treat marijuana as a medicine, fine, then regulate it as a medicine. But to just say to kids, this is no big deal, is misleading them. It's dangerous. And when you see all these kids stoned like it's no big deal, I don't think it's helping them, or our nation. Contrary to the former Hewlett-Packard CEO and the GOP's first female candidate's thoughts on weed legalization, doctors do know what marijuana is, including that it has a highly "legitimate medical application," according to Dr. Sanjay Gupta, whose famous about-turn on legalizing weed came during a time when states were beginning to reconsider its use. Suffice to say, no one can truly consider marijuana on par with alcohol. Their effects are vastly different, for one, and some scientists insist that weed is actually less harmful than alcohol and even tobacco. Legalization of marijuana also would mean that the government has control, and thereby, regulation, over the substance, as opposed to having teenagers buying weed from a neighbor, for example, that could well have been cut with something even more dangerous. There is an abundance of literature on both marijuana's benefits and risks, and that it has both high medicinal and recreational value should no longer be a cause of suspicion. Fiorina — who has never held public office — and her antiquated view on the substance will no doubt be left behind as a growing majority of Americans support pot legalization, and more states move to legalize the medicinal and recreational use of marijuana.